Last week, as I was standing on a street in downtown Chattanooga, I decided I’d take a moment and play the photographer. Had my daughter Katie been with me I’m sure she would have had no problem finding good shots, but my eye is not as gifted. I looked around, first at eye level, then upwards, and that’s when this particular shot came into frame. After a little tweaking, what I had was, in my opinion, a pretty picture of the Maclellan Building …behind a huge, black tree. Now, you’re smart enough to figure out that the size of the black tree is only an optical illusion, correct? You do realize the size of the tree in relation to the early twentieth-century skyscraper is not a matter of fact, but of perception, correct? Unfortunately, the way we perceive our problems is much the way this photograph highlights the perspective ground level. As we look up from rock bottom, even the smallest branch can appear gigantic. That’s when we need to forget what we see down here and consider another perspective – God’s perspective. Depression and hopelessness can make small things look much larger than they really are. But with the eyes of faith, our perspective can change, thereby exposing the deception of false perception. Don’t let depression or a lack of faith deceive you; God is bigger! A while back I had to go to a new eye doctor. Because of so many years of wondering whether or not I have glaucoma, my optician decided to send me to the place in town with the most high-tech equipment and eye doctors who specialize in glaucoma. He sent me to Southeast Eye Specialists. Wow! Talk about a set up! They had some cool gadgets, I must say. 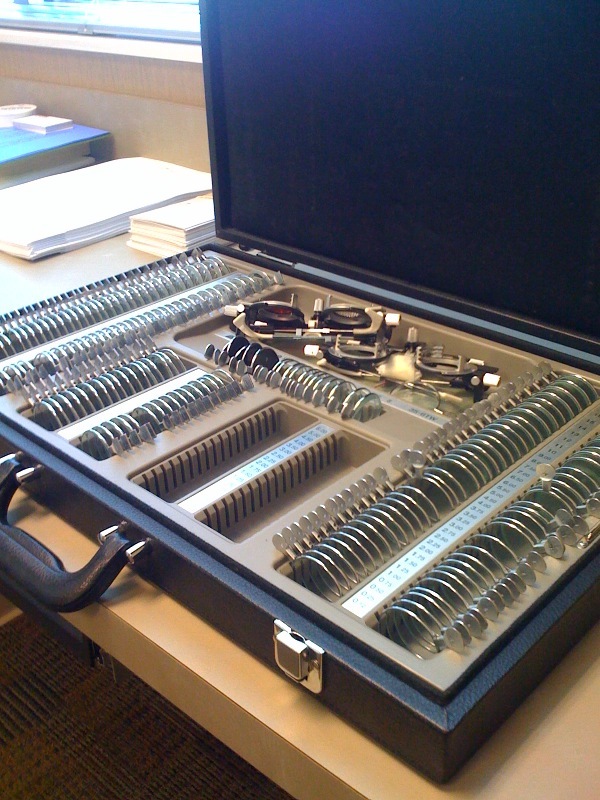 While waiting in the exam room for the smartly dressed, highly intelligent Dr. McDaniel to greet me, I did what any bored, adult male would do…I started playing with the equipment. 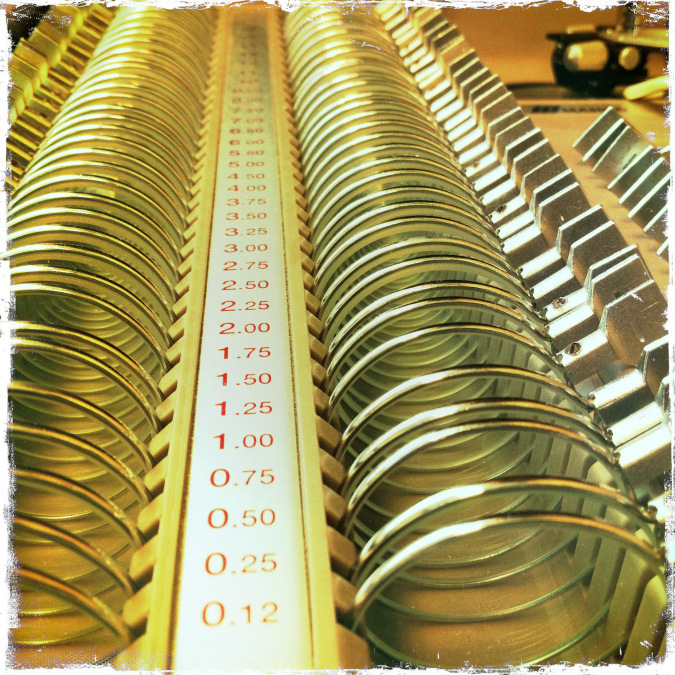 In the process of flipping levers and turning dials on very expensive stuff, I began to have a thought (which must imply that I was not thinking when I was playing with things that I couldn’t afford). With all the different prescriptions for glasses, and all the different lenses one could look through, how could anyone say for sure that what we see when we look at things is exactly the way it really is? Just look at all of those dials! Some people would say this is the reason for believing that everything is relative. You know, they get all philosophical-like and say, “There’s no such thing as right and wrong,” or, “Perception is reality.” The only problem is that what we think we see may not be what is actually there, but what is actually there IS there, whether we see it for what it is, or not. Just like the chart on the wall with the jumbled letters that start big on top, then get smaller as they go down, we can call the letter “e” an “a” or a “c,” but it is still an “e“. We may think what we see is correct, but that doesn’t change reality. Acts 28:27 For the heart of this people is stubborn, and their ears are dull of hearing, and their eyes have they closed; lest they should see with their eyes, and hear with their ears, and understand with their heart, and should be converted, and I should heal them. Some people insist that they can be the judge of what is right and wrong. Some people are so convinced of their own understanding of things that they will attempt to belittle other’s opinions and claim that what they see has to be incorrect, especially if it is any different. How sad! You see, all of us are born with faulty eyes that want to see things in the most favorable way, like with “rose colored” lenses. The only problem is that only God knows exactly what is on the wall. And what is cool is that each one of us is different, so we may need one kind of lens, while someone else may need another. God, our heavenly doctor, wants us to see the Truth for what He is; not through faulty eyes, but ones He has healed. Sure of Your Next Step? Preaching on hell is not something I like to do, but every so often I need to. You see, to love people is to warn people, especially when their next step could be their last. 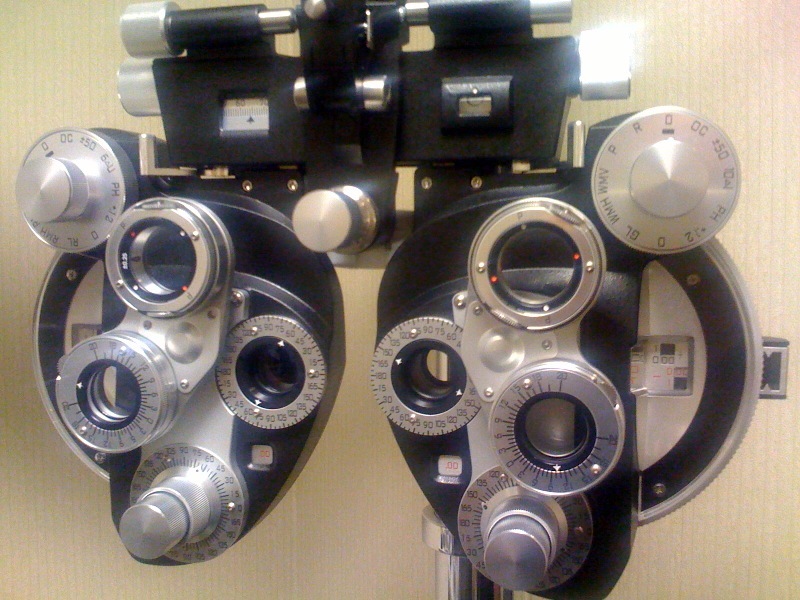 Several years ago, I went to a new eye doctor at a place called Southeast Eye Specialists. The waiting and office areas were aesthetically impressive, and the exam rooms were full of shiny gadgets, some of which I had never seen before. Therefore, I was so excited to be left alone in an exam room while I waited for the doctor to see me…alone…with all those shiny things! Some would say my thought, or ones like it, is the reason for believing that everything is “relative.” People say, “There’s no such thing as right and wrong,” or, “Perception is reality.” They argue that what we think we see may not be what is actually there. But I would argue the following: What is actually there is there, whether we see it for what it is, or not. The only way we can know for sure if we are seeing things correctly is to go to a Doctor of Optometry and let him evaluate our sight. He is qualified to turn the knobs and do the tests. He knows what letters are really on the wall. 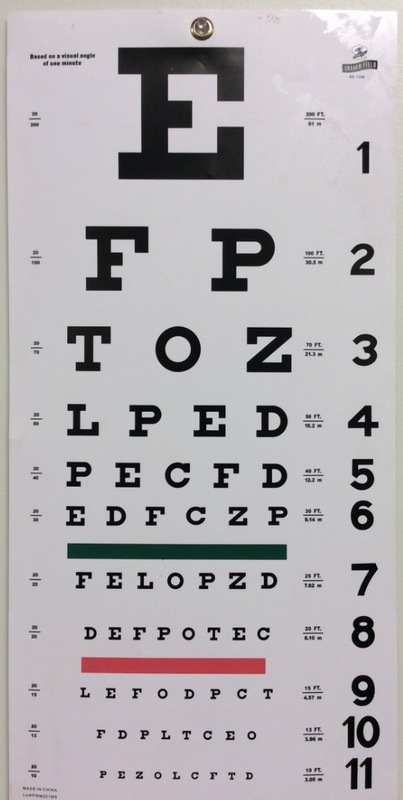 Only a fool would go into optometrist’s exam room and argue with him over the “rightness” or “wrongness” of his letter chart! All of us are born with faulty eyes, which, indeed, makes it difficult to determine right from wrong, but God knows exactly what is on the wall. His Word is the corrective lens through which we can better see what is really real. Without corrected vision, perception is not reality; it’s a lie.